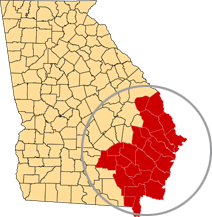 The First Judicial Administrative District (JAD) is one of ten such districts created by the Judicial Administration Act of 1976 to provide regional court administration to the superior courts of Georgia (O.C.G.A. § 15-5-2). Created along congressional district lines, the JAD’s have primarily retained their original boundaries through subsequent congressional district changes. The First JAD consists of 22 counties divided into five judicial circuits. The 22 active and 6 senior (retired) judges in the JAD make up the Administrative District Council. Every two years, the District Council elects one of its members as an Administrative Judge, who directs district activities and supervises its staff. In addition to his duties within the District, the Administrative Judge serves as a member of the Judicial Council of Georgia, as well as the Executive Committee of the Council of Superior Court Judges. Under the 1983 Constitution of Georgia, the judicial power of the state is vested in seven levels or classes of courts. The Georgia court system has two appellate-level courts: the Supreme Court of Georgia and the Court of Appeals of Georgia. There are five classes of trial-level courts: the superior, state, juvenile, probate, and magistrate courts. In addition, approximately 400 municipal and/or special courts operate at the local level. The most familiar trial court in Georgia’s judicial branch is the superior court. 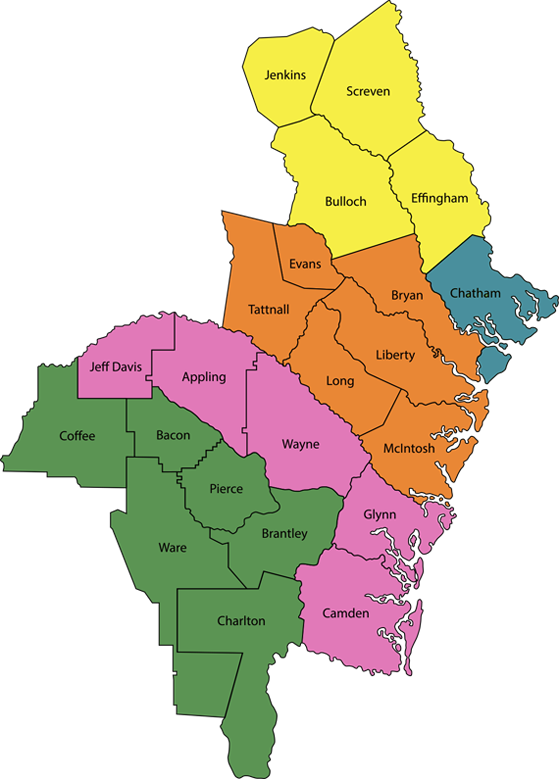 Each county is to have at least one superior court (or be a part of a judicial circuit composed of several counties). Superior courts have general jurisdiction, meaning they hear almost any civil or criminal case. If the county’s population warrants it, the locality will have a magistrate court, a probate court, and where needed, a state court and a juvenile court. The Superior Court is Georgia’s general jurisdiction trial court. It has exclusive, constitutional authority over felony cases, divorce, equity and cases regarding title to land. The exclusive jurisdiction of this court also covers such matters as declaratory judgments, habeas corpus, mandamus, quo warranto and prohibition. The Superior Court corrects errors made by lower courts by issuing writs of certiorari; for some lower courts, the right to direct review by the Superior Court applies. Superior Court judges are elected to four-year terms in nonpartisan, circuit-wide races. To qualify as a Superior Court judge, a candidate must be at least 30 years old, a citizen of Georgia for at least three years, and have practiced law for at least seven years. Superior Court judges who have retired and taken senior status may hear cases in any circuit at the request of a local judge, an administrative judge, or the governor.